This content was published: November 13, 2017. Phone numbers, email addresses, and other information may have changed. 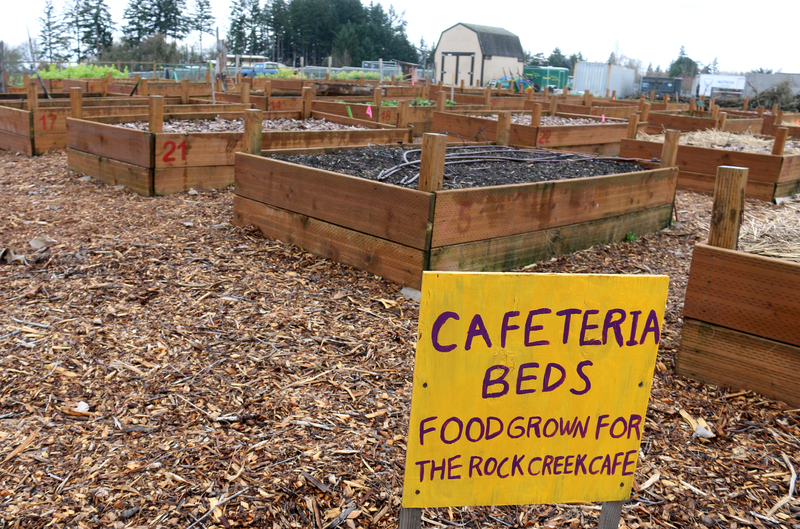 PCC’s sustainability team has worked with Food Services to source local food options, including produce from the Rock Creek campus-learning garden. Portland Community College is doing its part to combat climate change, and people have taken notice. The state’s largest college won the annual Second Nature Climate Leadership Award for two-year colleges. The honor recognizes innovative and advanced leadership in sustainability, climate mitigation, and resilience at signatory campuses of the Presidents’ Climate Leadership Commitments. Second Nature and the U.S. Green Building Council (USGBC) announced that Loyola University Chicago and Portland Community College are the lone recipients. 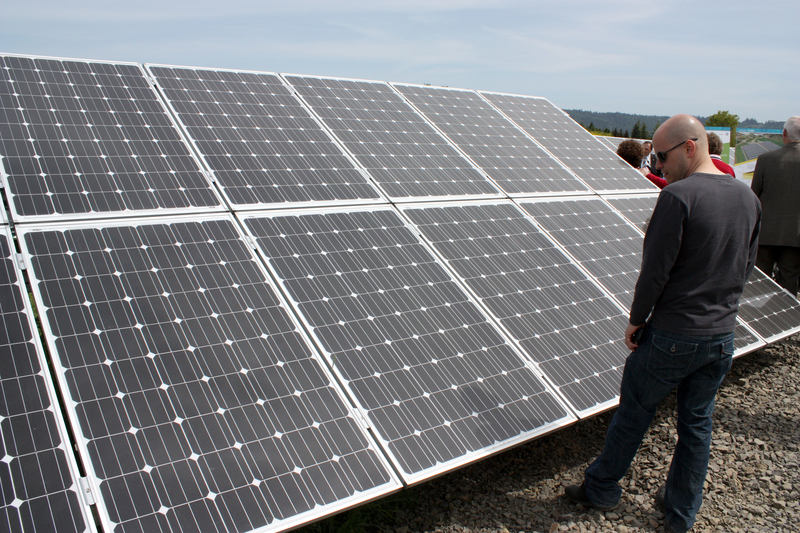 Rock Creek Campus’ solar array provides sustainable power to the campus. PCC has done its part to reduce pollution and energy use. The college has managed to reduce energy consumption by 65 percent per square foot since 2006, counts nine LEED-certified buildings including a net zero LEED Platinum center in its portfolio, and has three solar installments totaling more than 700 kilowatts. Cut paper towel consumption by 60 percent thanks to electric hand dryers in restrooms. Saved 170 gallons of conventional cleaner annually by switching to a toxin-free “aqueous ozone” cleaner. Purchased energy efficient computer products and appliances. Installed water-fill stations, preventing consumption of more than two million plastic water bottles. Improved indoor air quality with the reduction of flame-retardant fabrics. Used recycled-content office supplies, which account for 27 percent of annual office purchases. Worked with Food Services to source local food options, including produce from the Rock Creek campus-learning garden. Reduced single-occupancy travel with subsidized bus passes, a free shuttle service, rideshare programs and a student-managed 70-plus bike rental program. Implemented innovative waste reduction strategies like a closed-loop organics system at Rock Creek and a self-servicing mini trash bin program college-wide. “Many organizations don’t even look at these emissions because they’re too difficult to tackle, but PCC is taking the challenge head-on,” said Schoon. Second Nature offers these awards in partnership with the USGBC since 2015. Award winners are recognized as part of the Greenbuild Leadership Awards Program, benefiting from global publicity opportunities. Second Nature is the largest organization working to advance climate solutions in higher education. PCC’s President Mark Mitsui sits on the steering committee, and PCC reports its climate progress to Second Nature annually. PCC has become a leader in the field of sustainable purchasing. In 2013, the college was invited to be a founding member of the Sustainable Purchasing Leadership Council, a national nonprofit that convenes buyers, suppliers and public interest advocates to develop programs that simplify and standardize sustainable purchasing. PCC is one of five schools and the nation’s only community college serving on the Founders Circle. This summer, the PCC Board passed a resolution to divest college money from fossil fuel-producing and socially irresponsible companies and investments. PCC is one of a handful of higher education institutions nationwide and the only community college in Oregon to have officially divested in this manner. The college promotes sustainability education with a Sustainability Focus Award and 100+ sustainability-related courses. Students gain hands-on experience, leading projects through the student-funded Green Initiative Fund, which has provided more than $800,000 for innovative programs such as reusable to-go containers, learning gardens, waste education centers, office composting, and Earth Week events. 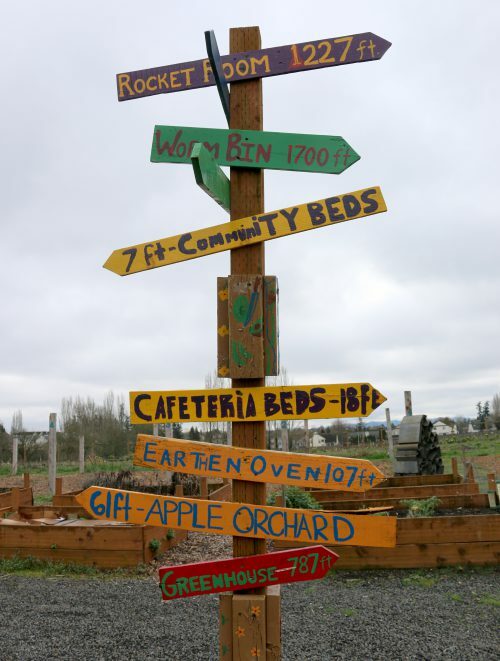 PCC is also a founding member of the Greater Portland Sustainability Education Network, a UNU-IAS Regional Center of Expertise on Education for Sustainable Development, helping implement Agenda 2030 and the U.N. Sustainable Development Goals. The college hosted this year’s annual Sustainability Symposium. And finally, PCC was given the APPA: Leadership in Education Facilities with the 2016 International Sustainability Award in 2016. The award is designed to recognize and advance sustainability excellence in educational facilities and to applaud the integration of sustainable policies and “green” practices throughout all facets of an organization. I would like to see Portland Community College study its class scheduling and campus program distribution in an effort to reduce student single occupant car commuting. I also wonder if Co2 emissions from car commuting to the campuses is considered in assessing the college’s ecological footprint.